Oberst is part of a growing movement of narrative artists who use their skill with traditional media to communicate feelings, opinions, and ideas about contemporary life. Often tinged with mystery or ambiguity, his images vividly depict love between men and women, the mother-child bond, and the stresses of daily existence, among other subjects. “My art is about our shared humanity,” he says. “Should any of these pictures survive for the next three hundred years, I would hope that people in that distant future see, in my art, how we felt about each other in the twenty-first century, and how we felt about being alive. I would also hope that those future viewers recognize something of themselves in my work. Oberst holds a Ph.D. in philosophy from Claremont Graduate University and an MFA in painting from Stony Brook University. 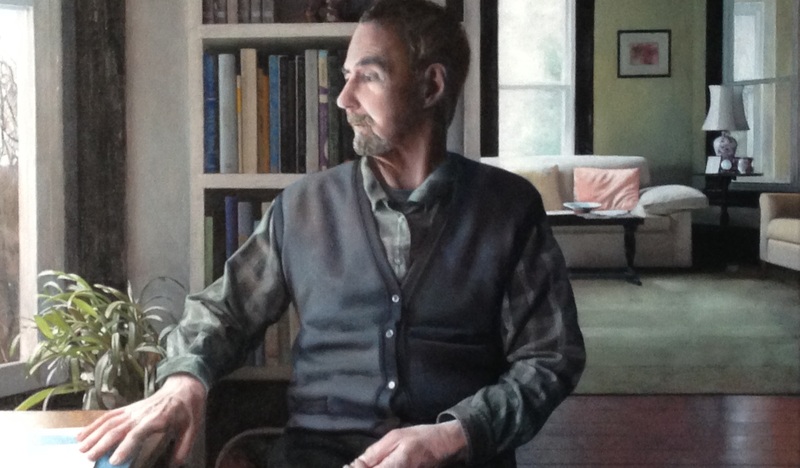 He taught painting and drawing at Stony Brook for more than a decade and is the recipient of many awards, including the university’s Distinguished Faculty Service Award in 2002. Among his many solo and group exhibitions is the retrospective, “Presences from the 21st Century: Paintings by William Oberst,” held in New York City in 2010. He resides with his wife, a social worker, in a live-work studio in downtown North Adams, MA. A reception for the artist is set for Friday, March 21, from 5-8 p.m.